Food or medicine? That is the question related to our everyday lives.. Fruits are an important part of daily nutritional habits and can be recognized as a supplier of vitamins, minerals, fibers, antioxidants, etc. On the other hand, however, they can influence our GUT microflora and can have a direct and indirect impact on our health. Our ancestors had no knowledge of plant taxonomy, enzymes, antioxidants, or microbiology; they even knew nothing about the existence of the microbes and all these molecules. However, they had one very powerful piece of knowledge, and that was knowledge of traditional know-how. 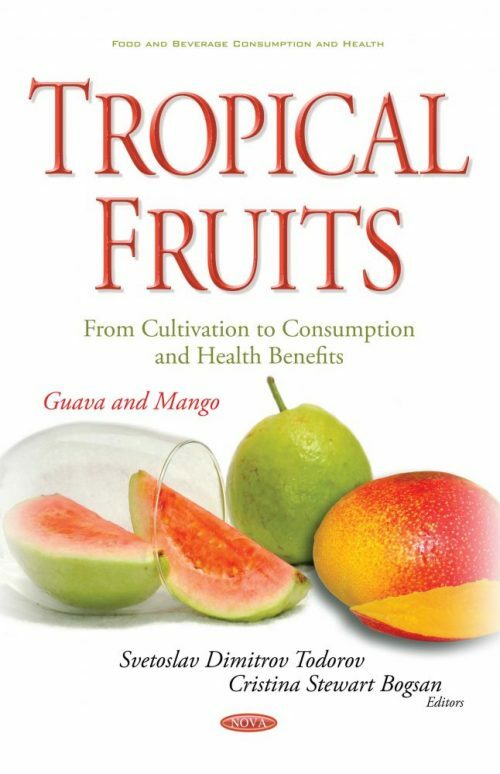 Based on personal experience and the knowledge transferred from parents to children throughout the centuries, they knew about the beneficial properties of fruits, vegetables, and medical plants. The longest part of this history was based on empirical knowledge gained by experience without former knowledge of either mechanisms or scientific basis. If we look back in history, we can find the use of various fruits, vegetables and medical plants in the treatment of numerous diseases; they appreciated for their nutritional value or used in everyday domestic processes. Based on empiric experience, a high number of fruits have been used in traditional medicine. Empiric knowledge, frequently transferred from one generation to the next, was the only basis for preparation and application of these products in the past. Mangos (Mangifera indica L.) and guavas (Psidium guajava) have been widely acknowledged as nutritionally valuable fruits that act excellent sources of vitamins and minerals. They have been cultivated in tropical and subtropical parts of the world. Many research investigations reveal that both plants exhibit numerous medicinal properties. They have been used to treat many ailments by acting as antioxidants, antidiabetics, anti-inflammatory agents, anti-diarrhea supplements, aiding with hypolipidaemia, and anti-cancer promoters. Mangos have been found to be widely used in food, cosmetic and pharmaceutical industries, while guavas are processed mainly into food products. However, their physical, chemical, and sensory attributes of undergo changes upon the ripening process. Thus, different methods of storage and packaging are developed to prolong the shelf life and maintain the quality of these fruits.